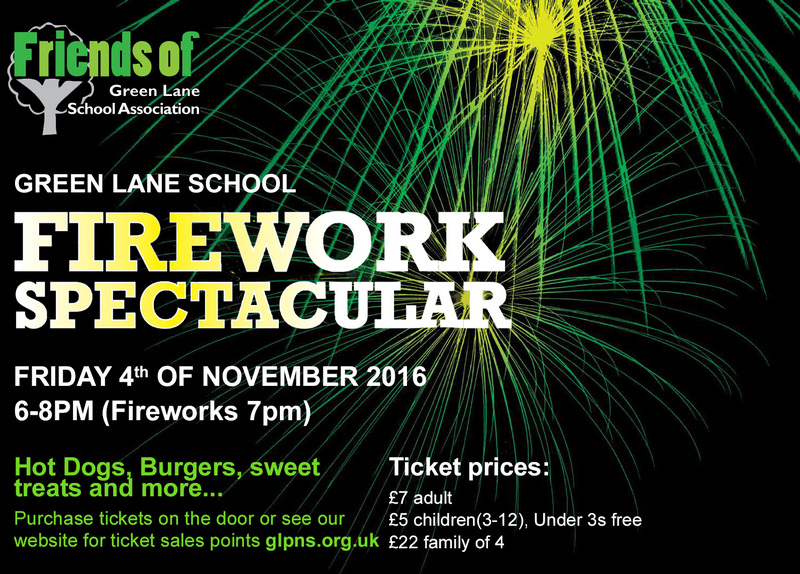 It’s a family friendly professional firework display where we showcase Green Lane School at its best. A real community event where you can bring family and friends, have supper together at our great value BBQ and let your children glow with our amazing choice of glow products. On Friday 4th November, 6-8pm (fireworks at 7pm). On the gate adults cost £7 and children £5 (3-12), under 3s are free and family of 4 is £22. Tickets are available from Trutex and Ross Fruiterers!